How should a homeowner assemble, manage, and participate with a team of professionals to produce a new home or remodel an existing one? 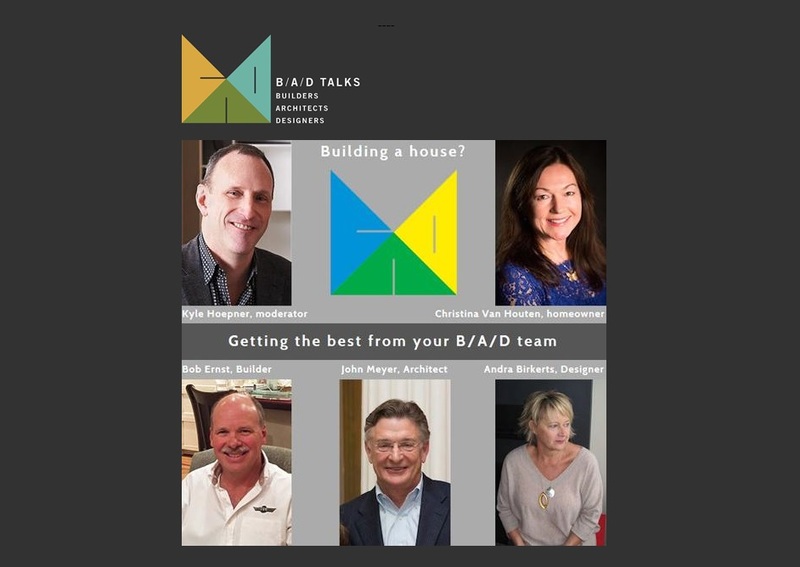 Our next B / A / D Talk panel explores this issue from the various points of view provided by a Builder / Architect / Designer and a Homeowner. As part of Boston Design Week this talk is open to the public. We hope you'll join us...and invite others! Refreshments will be served! Join Us!